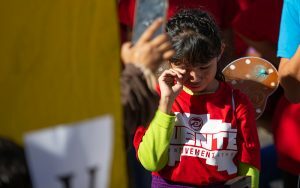 PHOENIX – Akemi Vargas mourns the absence of her father, deported when she was 7. Francisca Porchas, a Puenta Arizona activist with a 2-year-old daughter, anguishes over children she says have been ripped from their families. And social worker Laurie Rosales, who has worked in immigrant detention centers in Eloy and Florence, worries about the trauma the children are suffering in detention. 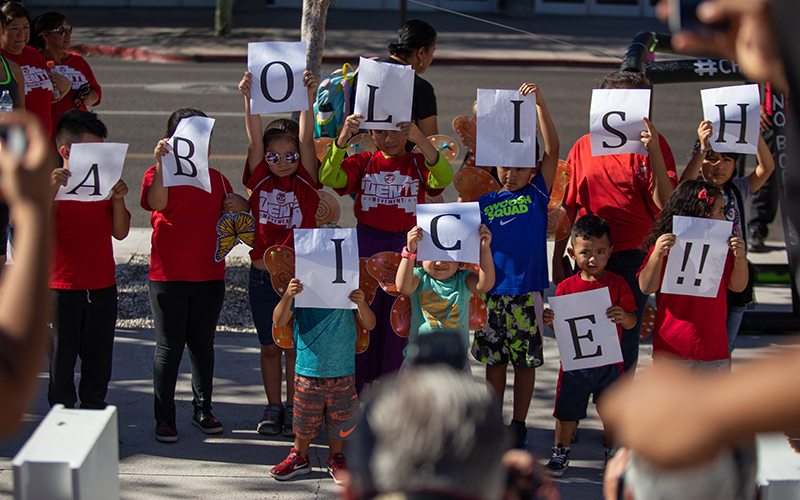 All three joined a rally in downtown Phoenix on Monday, joining a growing public outcry against a Trump administration “zero-tolerance” policy for immigrants trying to cross the border illegally. Attorney General Jeff Sessions’ “100 percent prosecution policy,” announced in May, has separated hundreds of children from their families, with Republican and Democratic lawmakers, migrant-rights organizations and others pressuring the administration to drop the practice. Nearly 2,000 children have been separated from their parents in the last six weeks, according to news media reports. Sessions recently quoted the Bible to defend the policy, which the administration says will deter illegal border crossers unwilling to risk being separated from their children. Akemi, whose father missed her eighth birthday because he was deported outside the U.S., cried in front of her family as other children, including her siblings, held up an “Abolish ICE” sign. Protesters destroyed a cardboard copy of a Department of Homeland Security building before marching around the Sandra Day O’Connor U.S. Courthouse, chanting “A community united will never be defeated” in Spanish. She just wants her father. 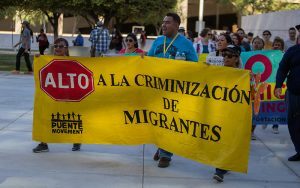 Porchas, an organizer for the immigrant-rights organization Puente Arizona, called the border situation a humanitarian crisis. Rosales, the social worker and counselor who has worked at unaccompanied-minor and family detention centers, said separating families can traumatize children above and beyond the hardship of crossing a border. Rosales said that separated children put in detention centers meant for criminals places them at risk of committing suicide. She said in some detention facilities, because of liability issues, staff is instructed not to touch the children.